I’m pleased to announce a new hire at the Wiki Education Foundation this week. Ryan McGrady will be the interim Classroom Program Manager this spring while Helaine Blumenthal is on maternity leave. 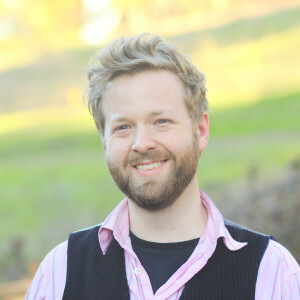 Ryan earned a masters in digital media studies at Emerson College, and is completing his PhD dissertation with North Carolina State University on the history of encyclopedic knowledge production. Ryan has experience on Wikipedia as a volunteer (User:Rhododendrites) and in his work as a university instructor. Ryan will be building relationships with instructors, volunteers and Wikipedia editors in support of our program activities, including on-boarding and mentoring instructors teaching Wikipedia classroom assignments. He is also responsible for coordinating with content experts to make sure instructors have the tools and resources they need to be successful. In his free time, Ryan edits Wikipedia and wonders why he’s not working on his dissertation. Welcome, Ryan!